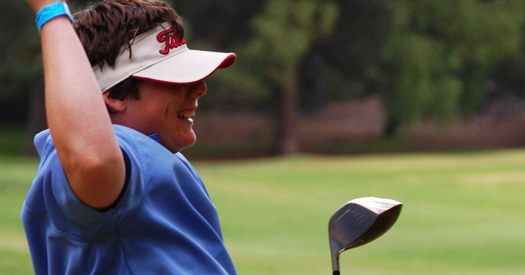 Like most golfers, Special Olympics athletes are driven by the opportunity to compete. Program planning is designed to develop individual golf skills that enhance performance, allowing the athlete to achieve success in playing the game. The Special Olympics Golf program is centered on two educational phases designed to encompass all skill levels: learning to swing a golf club and learning to play the game. Athletes may participate in Skills, 9-hole stroke play or 18-hole stroke play. Athletes train and compete in six skills similar on-course play, including a wood shot, an iron shot, a pitch shot, a chip shot, a long putt and a short putt. A nine-hole alternate shot format that teams a Special Olympics player with a non-Special Olympics player of more advanced skill and knowledge.